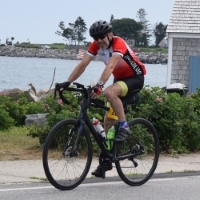 Thank you very much for your interest in sponsoring me for my fundraising bike ride to help support the American Diabetes Association in the Chicago area Tour de Cure. Diabetes is a disease in which the body does not produce or properly use insulin, a hormone needed to convert food into energy. There are over 29 million Americans (including myself) living with diabetes. If current trends continue, one out of three children will face a future with diabetes. This is a startling statistic and your donation will help to change this. If you are not redirected to my tour page in 5 seconds, click here. I am the captain of Team RED Chicago!